Remember those old Jack in the Box toys? 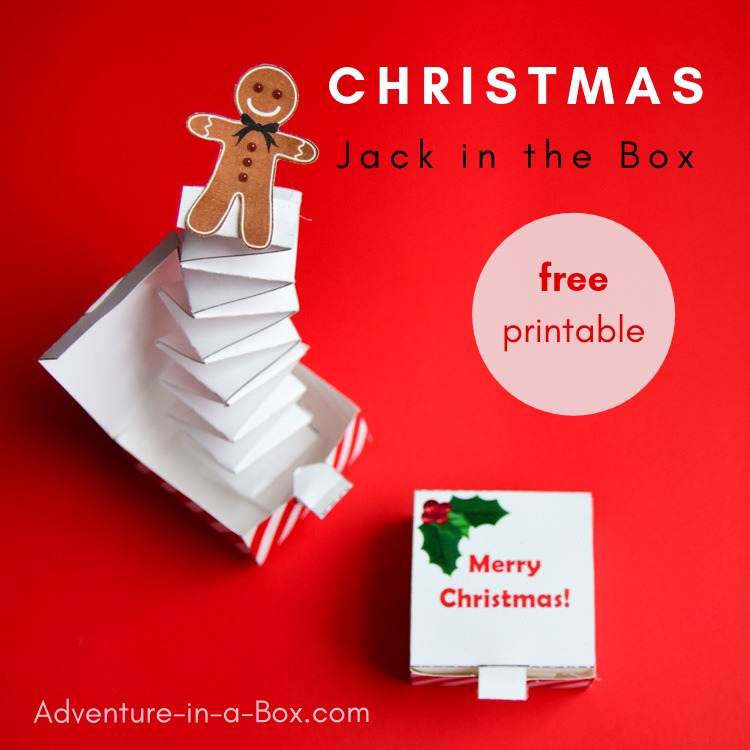 This Christmas, put together a handmade Jack-in-the-Box with children. 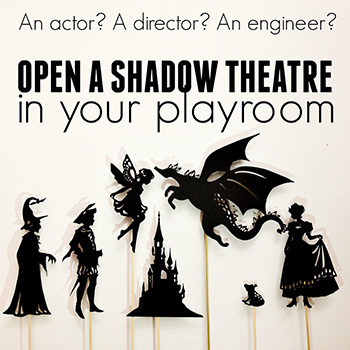 It’s a quick and simple craft, but it has plenty of applications! 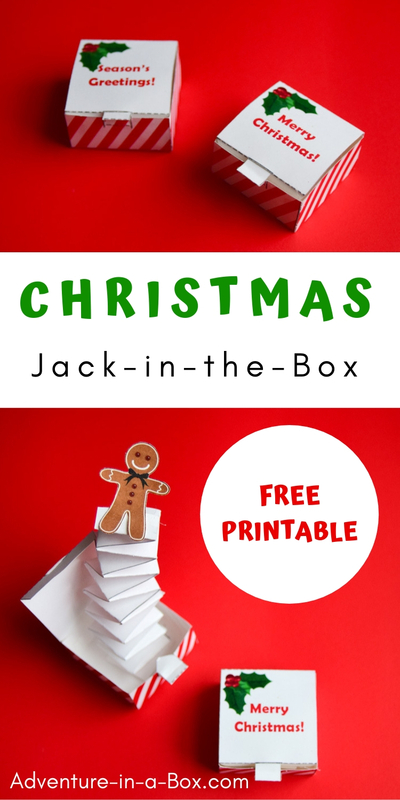 It can be a little toy gift for a younger sibling, a homemade card that kids give to relatives, and an engineering craft for STEM enthusiasts to celebrate the season. 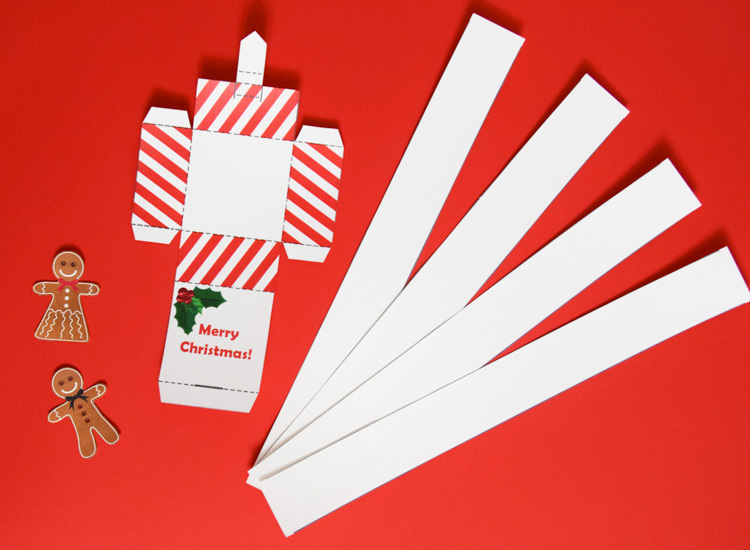 You can make a couple of Jack-in-the-Box toys in half an hour, so it’s a pretty quick project. It doesn’t require a lot of materials either. 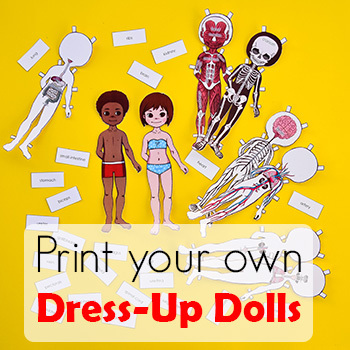 As long as you have some paper to print the templates on and glue to put it together, you are set. 2 — Designing box patterns and putting them together. I haven’t considered it before, but a few days after we made our previous “jacks”, my son spent a morning working on his own set of boxes that were clearly inspired by this craft. Making 3D objects from 2D patterns develops spatial ability. 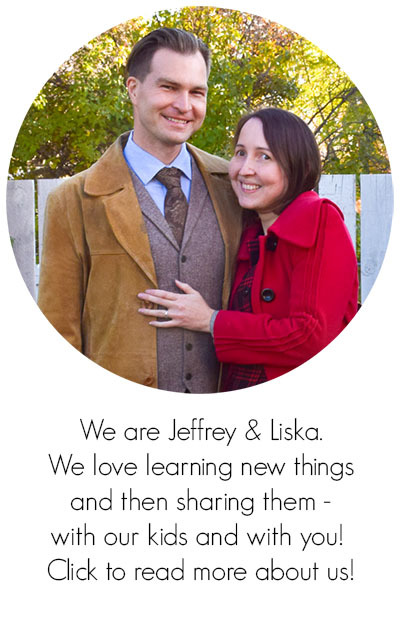 You can download the free template at the end of the post. Print the template on a piece of white card stock. 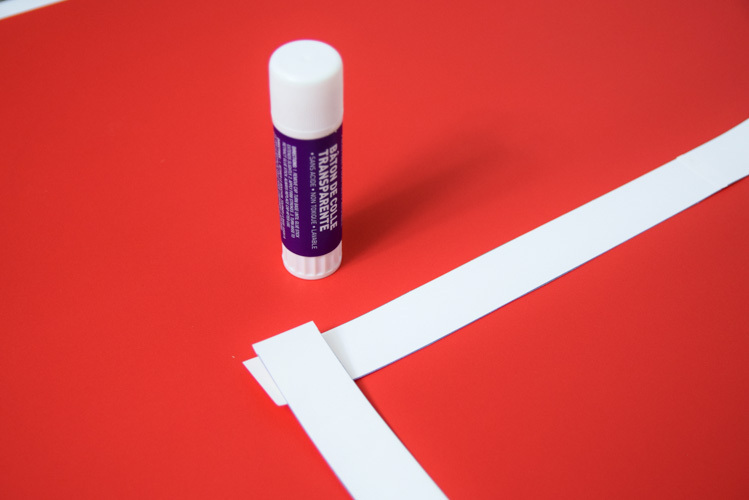 Aside from that, all you might need for this craft is a glue stick. 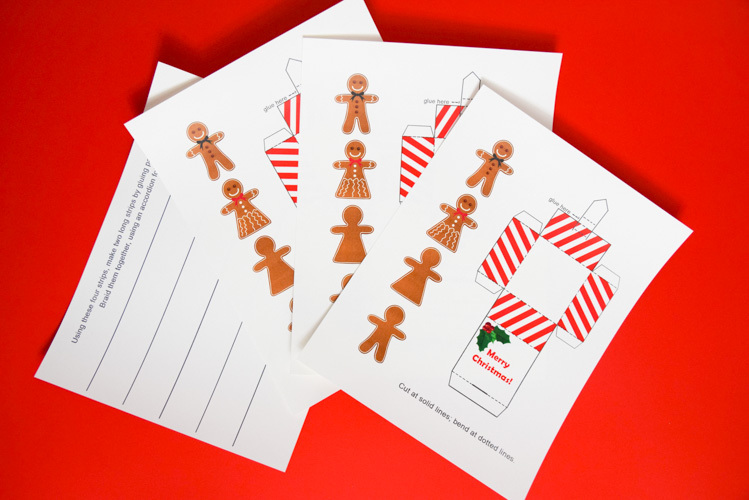 Before deciding on the gingerbread man, I considered a snowman, a present, a reindeer, or Santa Claus. 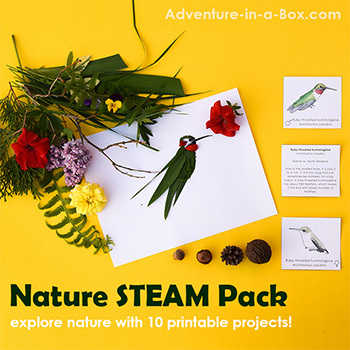 Children can draw any of these and put them inside the box instead. They can draw anything, really. 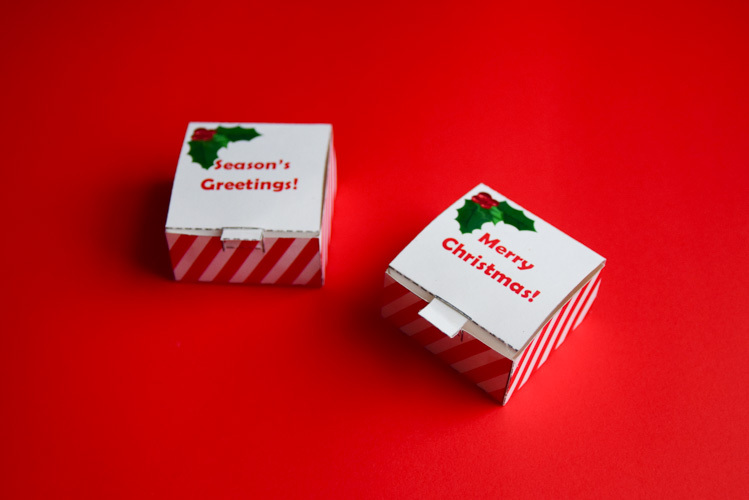 After we made this Christmas pop-up box, my son customized a box just for me… with a surprise drawing of a poop inside. He is six. What else can I say? 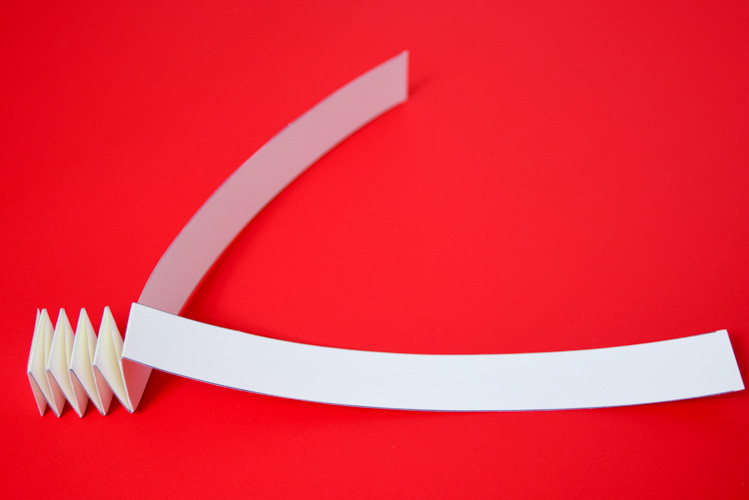 Cut along the solid lines, bend at the dotted lines! 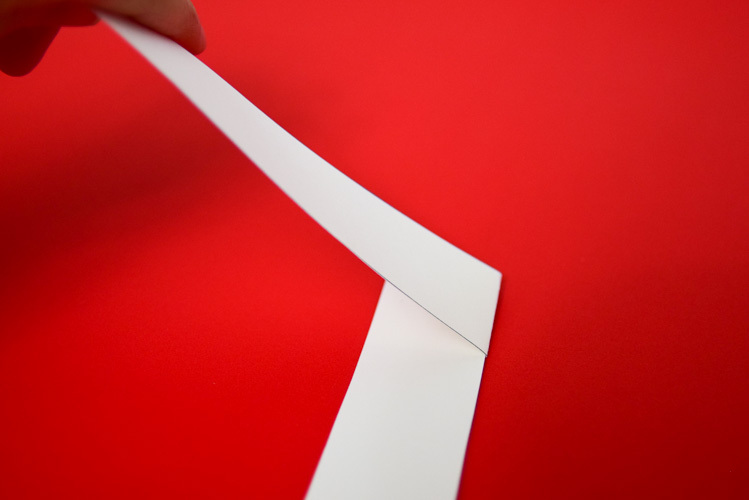 When you make the folds, doing it over the edge of a ruler helps to get them straight and in the right places. 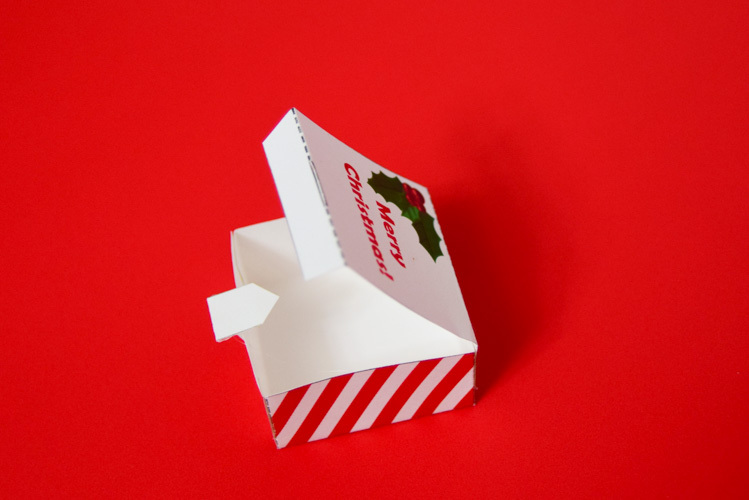 When assembling the flap that holds the box shut, use a little bit of glue to hold its pull tab in a folded position. The place that requires glue is marked on the template. Take a look at the close-up photo of how it should be glued together, below. Now, how to make the spring? Glue pairs of strips of paper together to make two longer strips out of the four strips on the template. 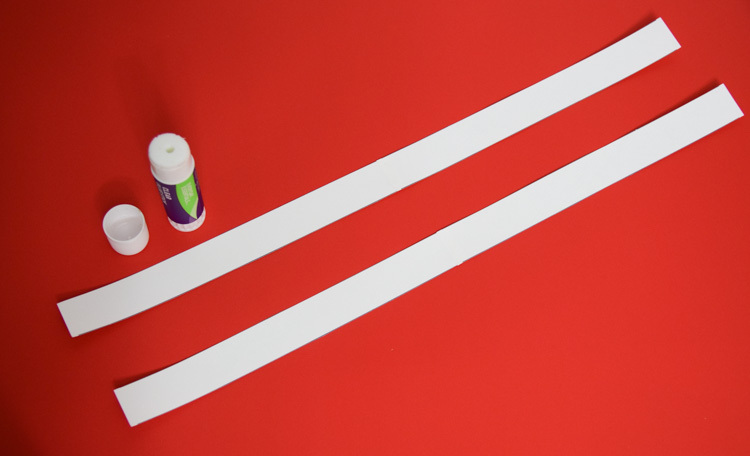 Glue the ends of these two long strips at a 90 degree angle. Start folding them, one on top of the other, also at 90 degrees. Don’t go out of your way to make really crisp folds – leave a bit of spring in it! Again and again. Here it is about half-done. 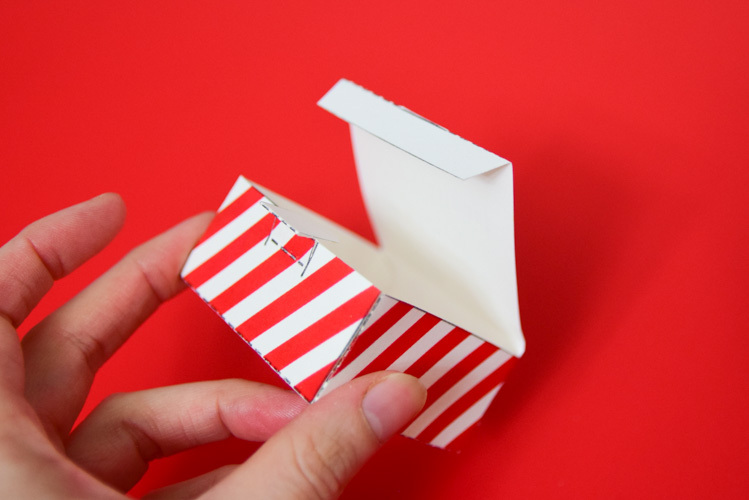 You can watch the process of me doing it in real time in the video in the post about making a Valentine jack-in-the-box. It may sound complicated, but it’s really easy – easier than making a braid! Here is the finished spring. 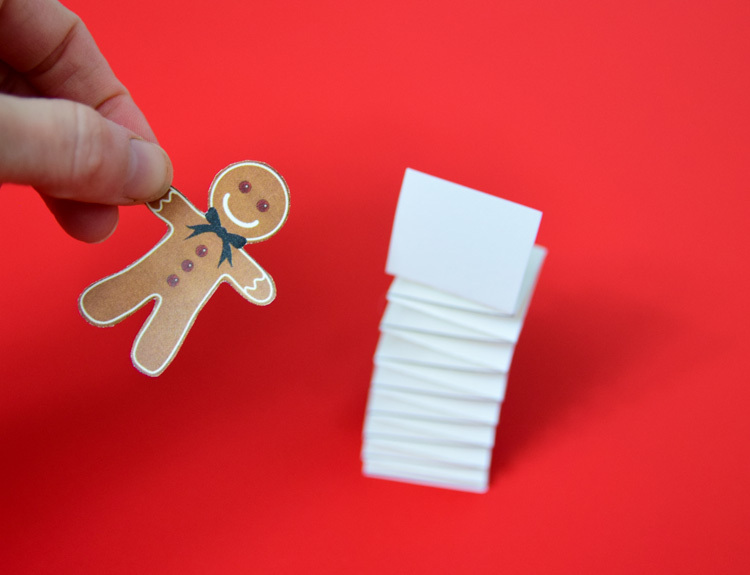 We fix the last full fold with a bit of glue, and then we use the bit of paper that is sticking out on the top for attaching the gingerbread man. 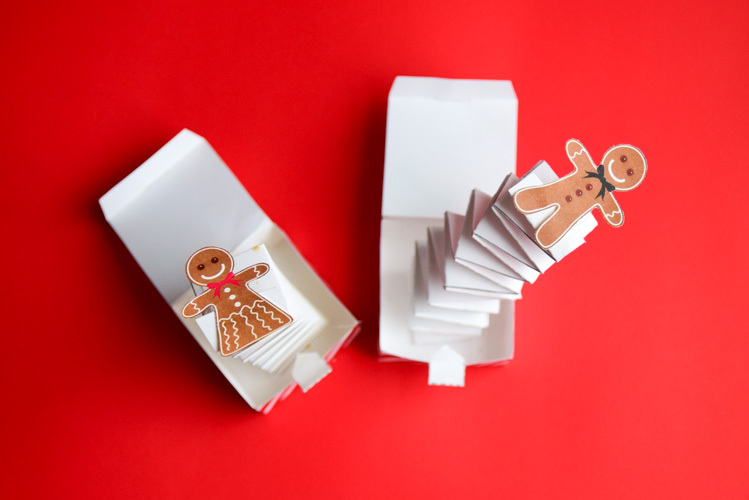 Glue the gingerbread man onto the spring, then glue the spring at the bottom of the box. This is how they look closed. But if you pull on the tabs… Surprise! 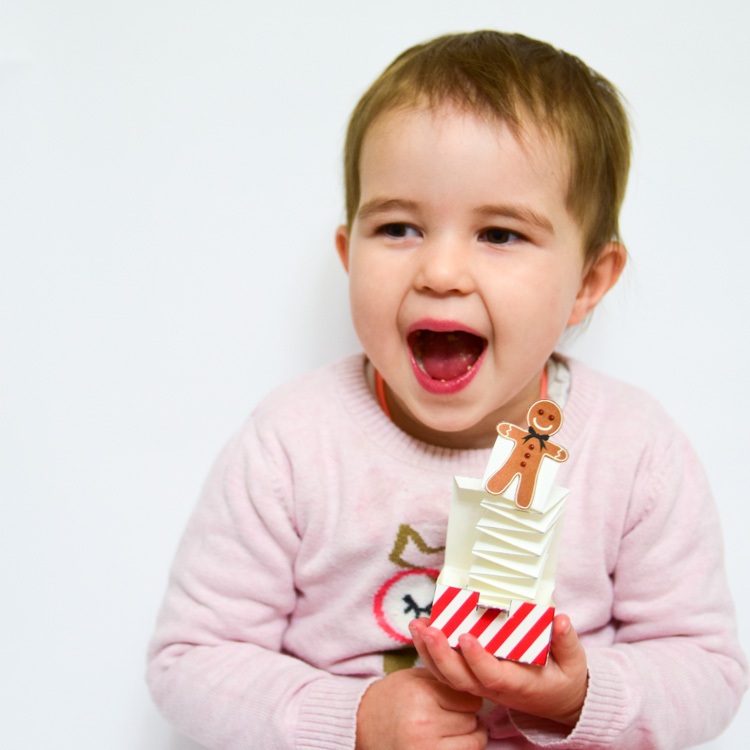 My little one loved the surprise of having the gingerbread man jump at her. 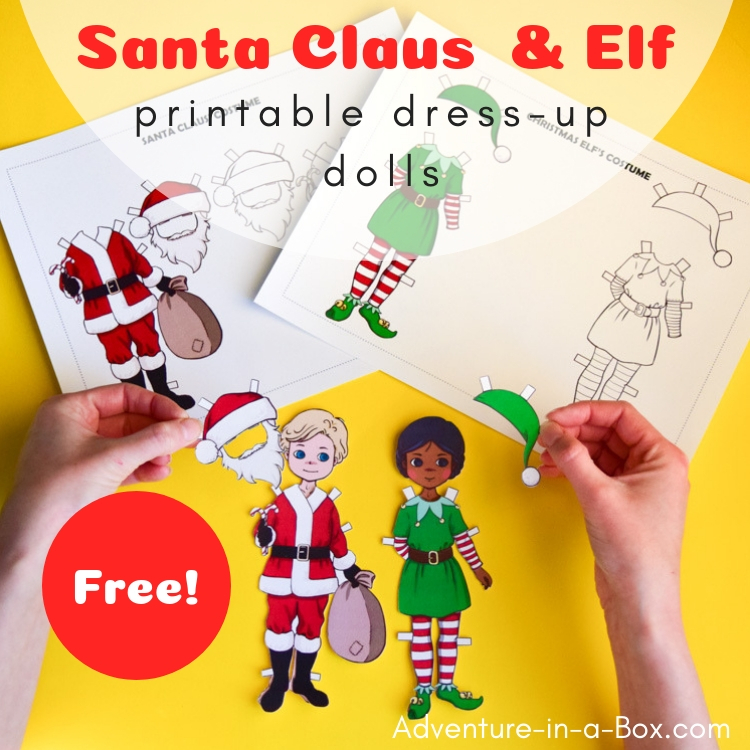 Make dress-up paper dolls of Santa Claus and his helper Elf! Make a button cardinal collage.